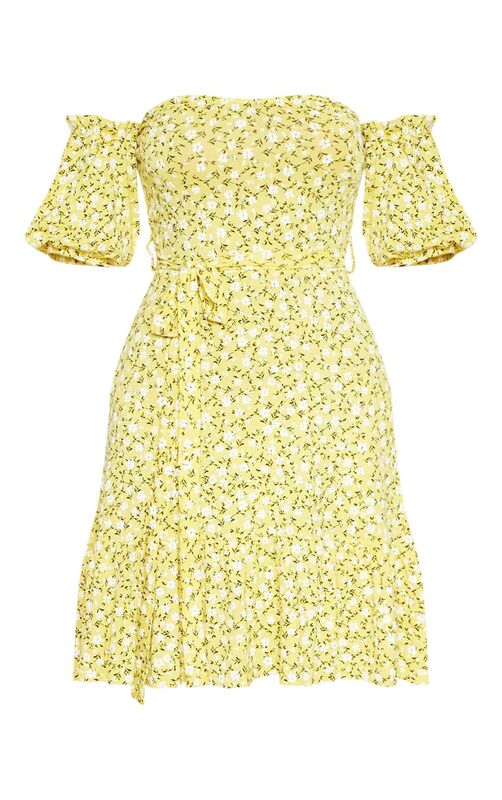 Join the yellow trend this summer season with this insanely cute skater dress. 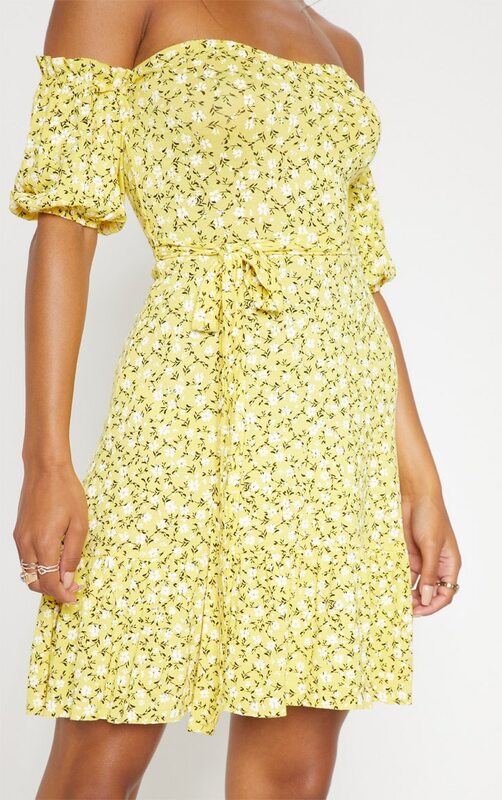 Featuring a yellow ditsy print material with a flattering bardot neckline, frill hem and skater dress fit, this dress is all kinds of cute. 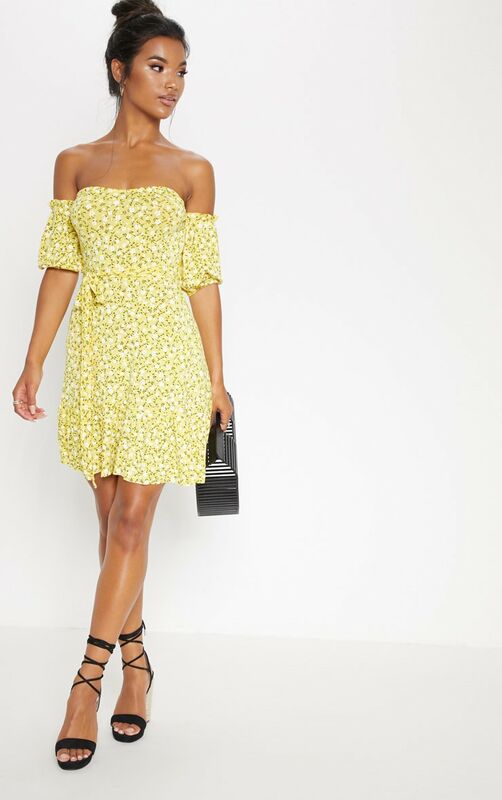 Style with black tie up heels and a black structured clutch bag to match.